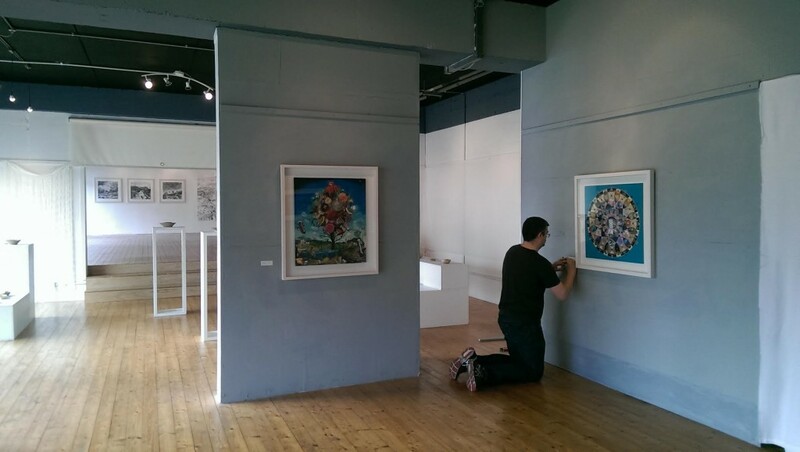 Gavin opened an exhibition of his work this week end for Clifden Arts Week. The display is located at the Station House on the Galway Road and it comprises of twelve new works. The large space is divided into three rooms, the accompanying rooms feature work by Irish landscape artist Joe Wilson and artist and wood turner Angie Williams. The diversity of material and colour make for an interesting exhibition that showcases the high standard of artwork being made here in Connemara. Preparation for the exhibition opening. Wood turned forms by Angie Williams behind and paintings and drawings by Joe Wilson in the far room. 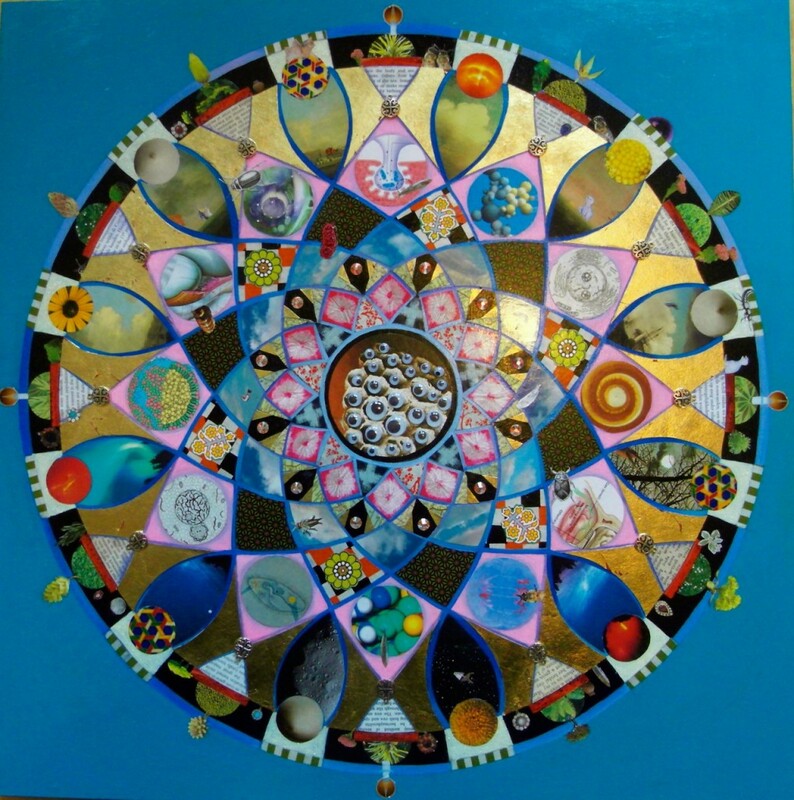 New works by Gavin include two large circular forms entitled ‘Spiral Eye’ and ‘Hive’ in which a myriad of pattern, beads and glass eyes form a kaleidoscope arrangement. 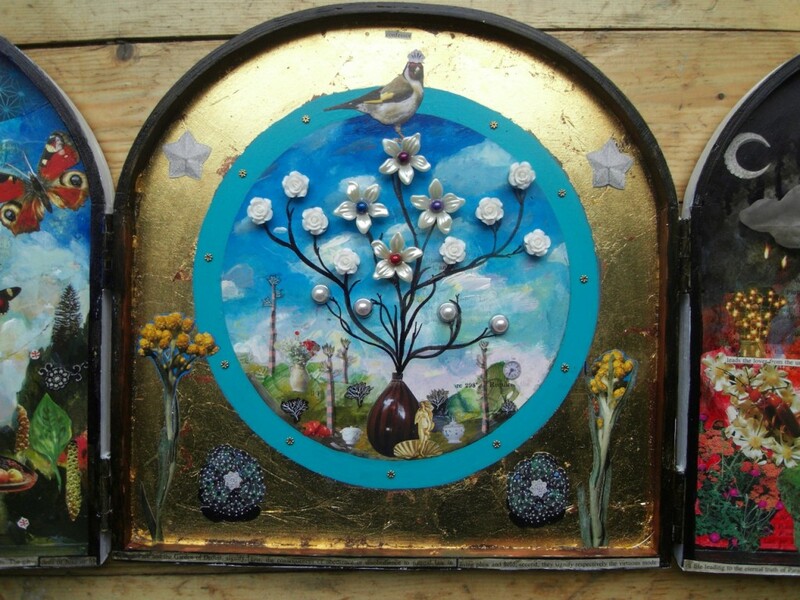 The collection includes a small hand made triptych with a gold leaf central panel. There are several large collage paintings and a giant size map of Ireland. Gavin collects his imagery from a variety of sources; maps, bird books, biology and botanical source books. 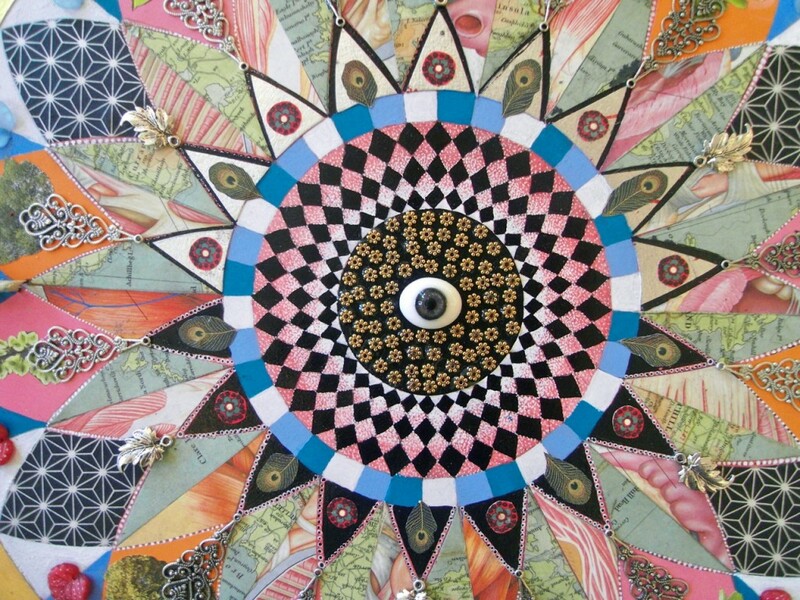 He also uses vintage jewellery, beads, glass eyes and bones and twigs that have been painted or covered with gold leaf. The compositions are all held within a structure, sometimes it is an adaptation from a classical painting or a real or imagined map. Larger forms are constructed out of wood into circular panels or domes. He uses antique boxes or specially constructed cabinets for smaller pieces. Paint binds all of the strange, unconnected material together. A sensitive use of rich colour and contrast allows the imagery to flow in a seamless fashion in spite of its incongruity, creating an ‘alternative reality for the viewer’. 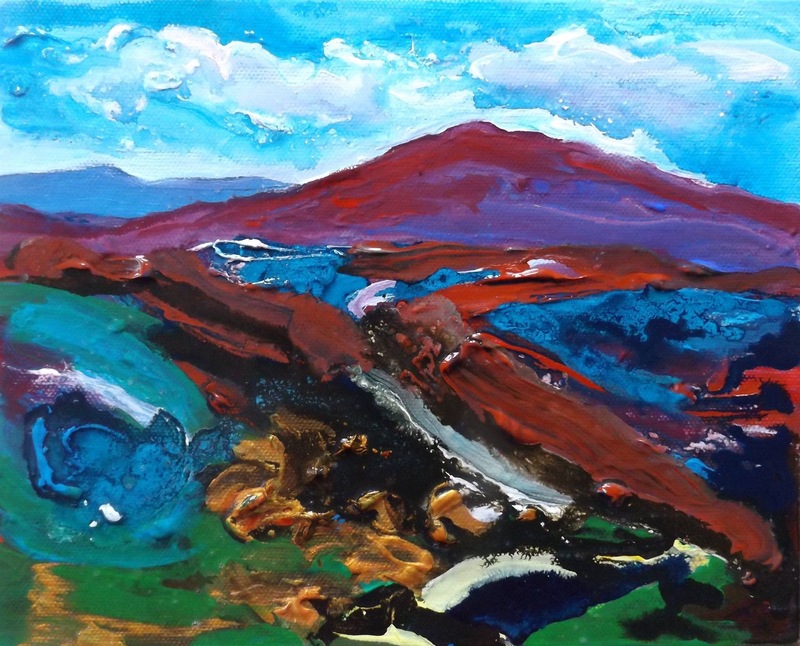 This entry was posted in Inspire, Uncategorized and tagged collage, connemara, gavin lavelle, lavelle art gallery, painting, west of ireland.